Today is the official release day for Before the Storm, the latest World of Warcraft novel by Christie Golden. The Horde and Alliance may have defeated the Burning Legion, but the war wasn’t without its costs. Azeroth suffered a grievous wound that revealed a new substance called Azerite. 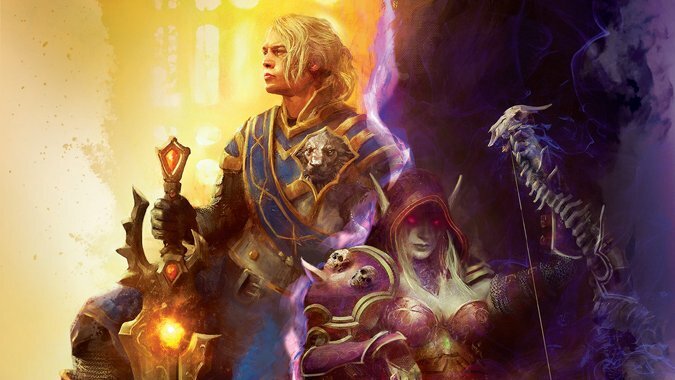 Both the Alliance and the Horde are racing to discover the secrets of this strange new substance and heal the world, but King Anduin Wrynn has another plan up his sleeve — one that may forge a lasting peace between factions. If you haven’t yet, you can read an excerpt from the novel, or check out our spoiler-free review. To celebrate Before the Storm’s release, we’ve got five copies of the book to give away to our US readers, courtesy of Del Rey! To enter, simply fill out the form below. The giveaway will be open until 11:59pm Central on Thursday, June 14. Entries are limited to one per person. Once the giveaway has closed, we’ll be choosing five winners at random and contacting them on Friday, June 15. Please note: The giveaway is restricted to US residents. Make sure you use a valid email address to enter, as we will be contacting winners for shipping addresses when the giveaway concludes. Good luck to all who enter!